Miguel Andujar out — possibly for the season. Gary Sanchez is BACK. Domingo German scintillating? Taylor Wade telling an Uber driver to ‘step on it’ — arrived at the game by the 7th inning. And Aaron Judge — the Face of Baseball — saved the game with a terrific Defensive catch. So much news in one evening! It seemed a non-descript April game against Detroit. But during the game it was revealed on twitter that Miguel Andujar had suffered a tear of his labrum in his shoulder on a dive back to 3rd in the previous game — and could undergo surgery to be out for the year. Devastating news to Yankee fans. Already Giancarlo Stanton, Dellin Betances, Luis Severino, and Aaron Hicks are out injured. 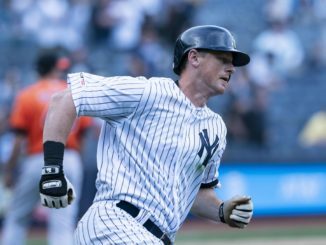 If Andujar needs surgery it makes DJ LeMahieu the 3rd baseman and opens up DH/outfield time for Clint Frazier. Tough to lose Andujar but the Yanks could/should be fine. Let’s see what Frazier can do; it might be fun. A cold April evening. Gary Sanchez, who all of a sudden is hitting the ball and hitting it HARD — started the scoring with a 417-foot homer to centerfield. Domingo German started and was Terrific — 5 innings of 1-hit ball (1 unearned run, 7 strikeouts). 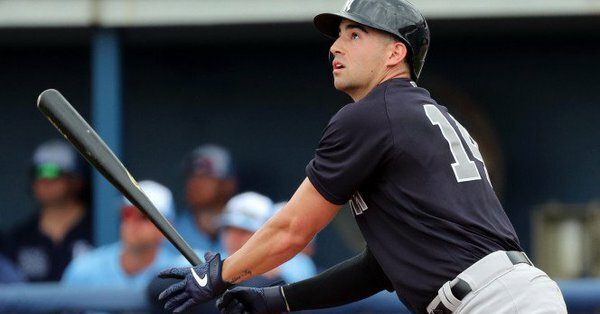 The Yankees see good stuff in German, and are banking on him as a starter while CC Sabathia and Luis Severino are out — despite German’s horrible season last year. But you base your decisions on future expectations, not the past — and German looked good last night. Said Yankee analyst Jack Curry, “Domingo German has movement on his pitches, he has deception, he has 4 different pitches, and he showed a lot of poise tonite”. In the top of the 8th, with 2 on and nobody out for Detroit, Aaron Judge made a terrific catch to save the game — it might’ve been at least a single or a double past him to tie the score. 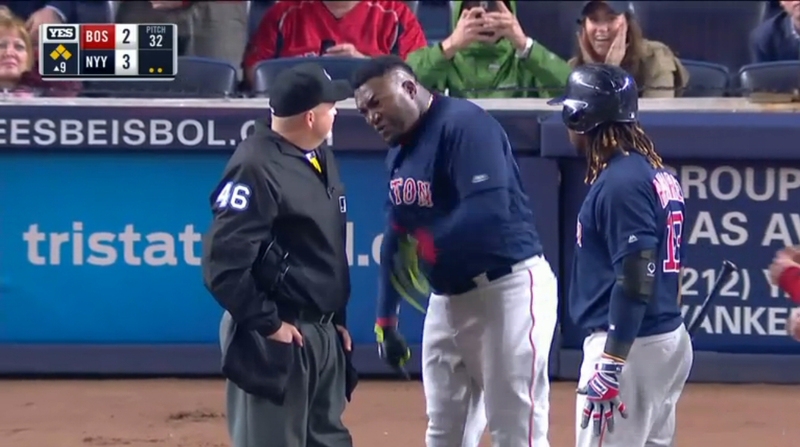 The Yankee Universe held its collective breath that Judge didn’t get injured. Chad Green, Zack Britton, Adam Ottavino, and Aroldis Chapman pitched scoreless relief. Chapman and Ottavino especially were light’s out. Yankees.Blue representative NYSportsChick was at this game. Good seats. $90. She reports that she went without a thermal jacket and was COLD; purchased Yankees blanket for $50.